I've chased him for over twenty years, and across countless miles, and though often I was running, there have been many times when I could do nothing but sit and wait. Now I am only desperate for it to be finished. I've often heard it said that the littlest things in life can have the biggest impact—an assertion evidenced by Charles Jackson, a Captain in the Royal Army Medical Corps whose subsequent career in the field of haemophilia springs from something seemingly insignificant. Celebrating the liberation of Paris from the hands of the Nazis, he hunkers down in a bunker, only to half-see something weird: someone gulping blood from the warm body of a woman. A vampire? Perhaps. But more likely a mere madman. "It was ludicrous; it was, as I’ve said, something I should not have seen, something wrong. Not just violence, not just murder, but something even more depraved than those acts." (p.28) Absent any evidence that a crime has been committed, Charles does his level best to dismiss this wicked thing he's witnessed. But the damage is done, and the unsettling story told in A Love Like Blood begun. A period of years later Charles' work brings him back to France, where he is surprised to find the focus of his all but forgotten fascination at lunch with a lovely lass hailing from the Hamptons. In the first, he follows her hoping she might tell him more about her benefactor—an Estonian Margrave, apparently, looking to learn the language—but before long Charles realises he has feelings for Marian... feelings she seems ready to return. Alas, their chance at romance falls apart practically before it's started. When she suddenly stops replying to his regular letters, he asks after her at her former haunts, where he's made aware that Marian has a heart condition, and has had to head home to seek treatment. He never sees or hears from her again. Because she's dead, inevitably—and "she had not gone naturally into death. She had been taken, against her will, and with horrible violence," (p.106) by the Beast of Saint-Germain: a simple serial killer, per the press. 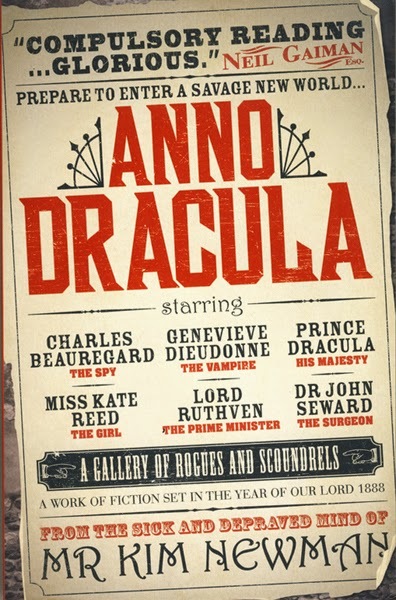 Charles, however, knows better, and though he has finally made some headway in his study of blood, with the love of his life lost, he comes undone. The little history I knew of the place fed my delusions. [...] Here was darkness, filth. If Paris was glory, Avignon was squalor, depravity and cruelty. Here, crusades were launched not just against the infidel of the Holy Land, but against Cathars and other heretics. Here the Inquisition came and extracted confessions of witchcraft and devil worship from the screaming innocent. 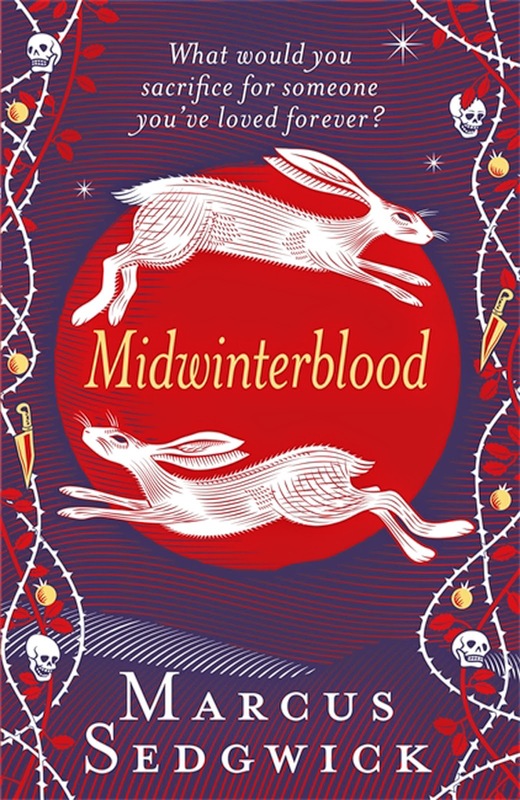 Marcus Sedgwick has won a number of awards for his series and standalones for younger readers, including the Michael L. Prinz Prize for Midwinterblood this past January, and he has of course been shortlisted for many magnitudes more, yet A Love Like Blood is his first novel for more mature markets. 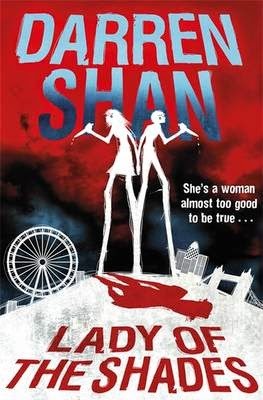 It's my pleasure to report that, unlike another young adult author who attempted to appeal to an older readership recently—with a book that bears a certain conceptual resemblance to Sedgwick's—he makes the transition seamlessly: A Love Like Blood is laudable whereas (to name names) Lady of the Shades struck this critic as insipid. The end of the war, the end of any war, was the perfect place to hide, to change yourself, to become something and someone else. There are far too many other things to worry about, as an occupied land is restored and repaired, to question the validity of every story you’re told. And after all, Paris in 1944, I knew, must have been full of many stories stranger than the one about the Estonian count suddenly rebuilding a tiny ruined chateau at the edge of a park. That said, though Sedgwick's characters are on the whole well-handled, his villain is, in the final summation, somewhat simplistic. Thankfully Charles is complex enough to carry the narrative in the Margrave's absence: he's well-intentioned but frequently weak; daring on occasion, if far from daft. His descent into obsession is incremental, but no less terrifying for the length of time it takes, meanwhile Marian's murder gives pathos to his pursuit—where before his was an academic fascination, from this point on it's personal. Only the reveal of his actual rationale in the last act is lacking. 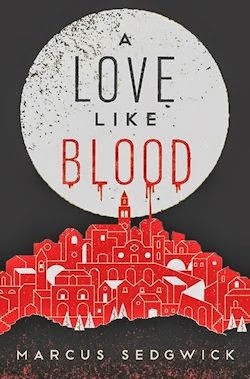 In addition to all this, A Love Like Blood features some unforgettable settings—suffice it to say that Charles' travels take him far beyond the squalor of Avignon—as well as pitch perfect pacing, a canny combination of genres, and smoothly flowing, sophisticated prose. Expect suggestive, sensory storytelling on the sentence level, then... and as I said at the outset, little things like this can pack a proper punch. As does A Love Like Blood.